Our new Mud Kitchen Fridays have been a huge hit with the children producing some gloriously muddy potions, splattered cakes and lots of other carefully crafted creations! 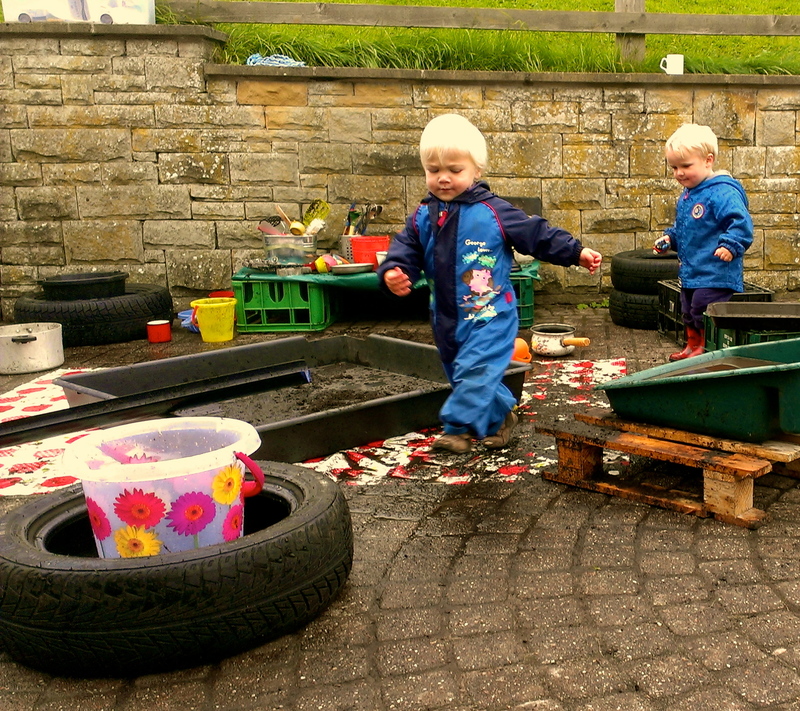 We have started welcoming in the grown-ups too to the Mud Kitchen Toddler Group, which is part of our Friday pre-school sessions – and it is magic to see the older pre-schoolers interacting happily with our younger visitors. This entry was posted in Uncategorized on October 10, 2013 by grindleford13.